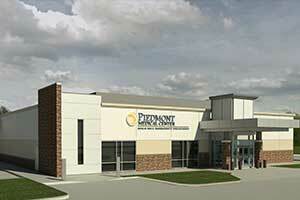 Piedmont Medical Center released information on January 30th about a ground breaking ceremony for a new 24 hour emergency center on Gold Hill Road next to Founders Federal Credit union. The ground breaking ceremony will be Wednesday, February 6, 2019, 11 am at 971 Gold Hill Road, Fort Mill, SC. This facility is a $15.2 million investment in the health of Fort Mill and York County residents and visitors according to PMC.